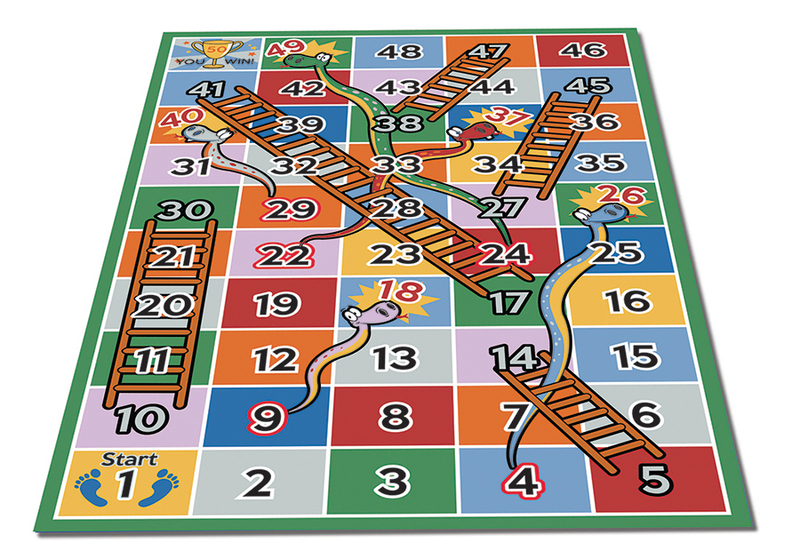 The snakes and ladders classroom rug has been designed to encourage social skills, group interaction and problem solving. The colourful and bright interactive classroom carpet is ideal for use in schools, pre-schools and nurseries. 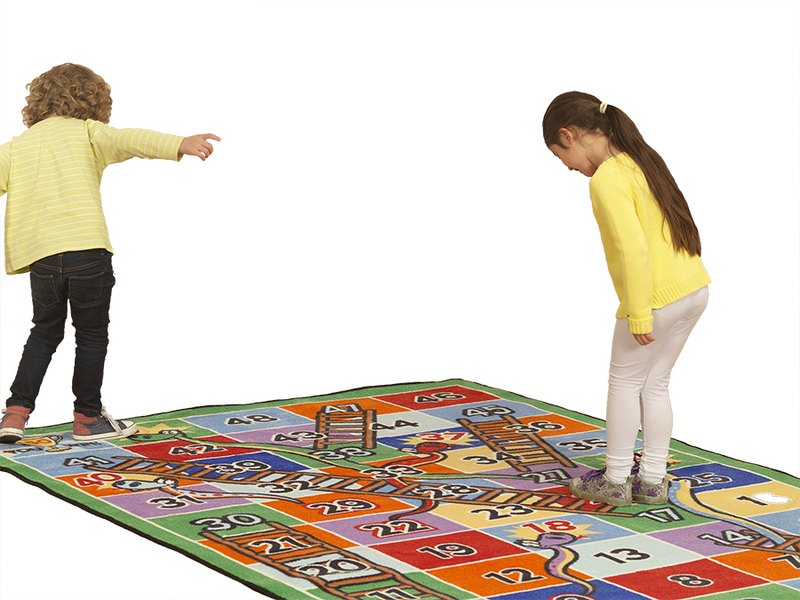 This classroom rug is a popular carpet version of the all-time favourite children's board game, snakes and ladders. It benefits from triple felt backing and double stitching. It also includes a locked in anti-microbial feature for improved durability and cleanliness.